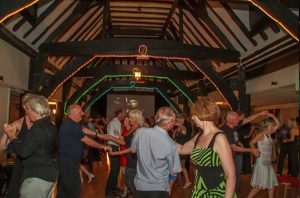 The Old Barn Hall, 55 Church Road, Great Bookham, Surrey KT23 3PQ. Less than 10 minutes from M25 Junctions 9 and 10. The Old Barn Hall is on Church Road, the entrance has a white boundary wall. The venue is about 1km from Bookham station on the Waterloo to Guildford line (via Epsom & Leatherhead). The 479 bus between Epsom and Guildford goes past the Old Barn Hall. There is a double parking system in the front car park – please do not park on the outside space and leave the inside space empty, we have a lot of cars to fit in. 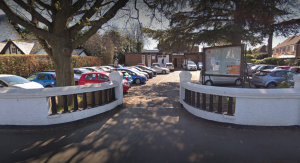 If the car park is full, we advise you not to park on the road – there is a large car park in the centre of the village very close to the main crossroads (behind the Co-op), less than 300 yards from the venue.